I've got a mighty dose of gorgeous coming your way right now, with the October release from Emily de Molly - 8 gorgeous polishes that I'm sure you're going to find totally irresistible! 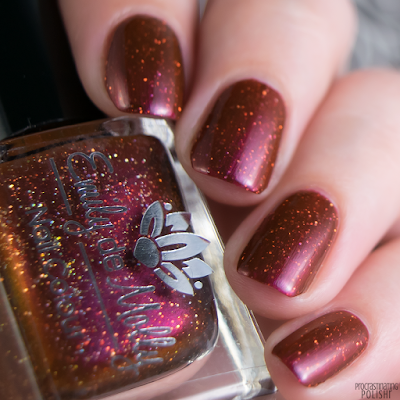 There's shimmer, there's flakes, there's a thermal and of course there's some holo too - let's get into it! Delicate rose gold holo with iridescent flakes. I was genuinely surprised how flattering I found this with my skin tone as I've never found rose gold particularly appealing on me. 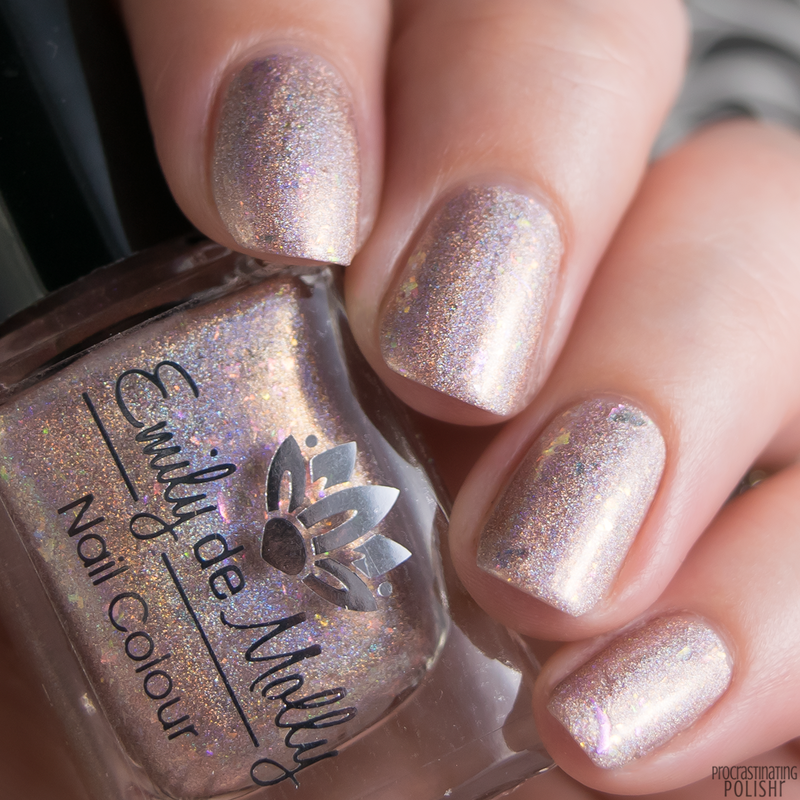 It's a beautiful soft shade with a great roaring holo rainbow, but it was the pops of colour from the flakes that really won me over. It's gorgeously smooth to apply and super opaque - I only needed two coats. I had one unusually large flake that stuck up a little, but the remainder played nice so I don't expect you'd find any issues. 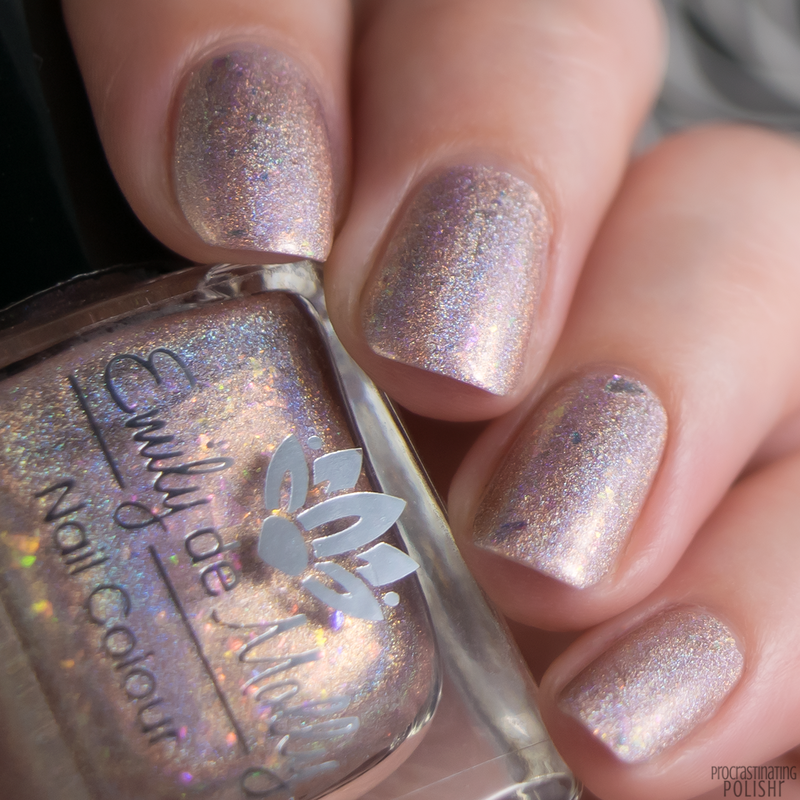 I used top coat for my swatches but didn't find it dulled the holo at all. 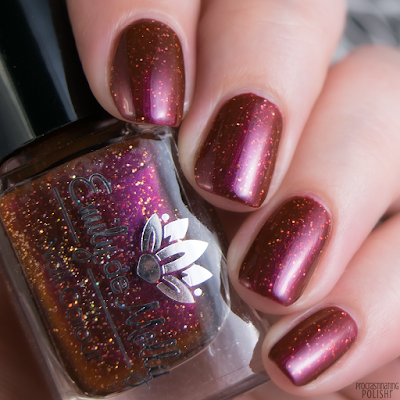 Rich burgundy multichrome with a warm orange shift and gold holo microglitter. Absolutely flippin' gorgeous. Beautiful rich colour, divine subtle shift and the perfect balance of glitter. 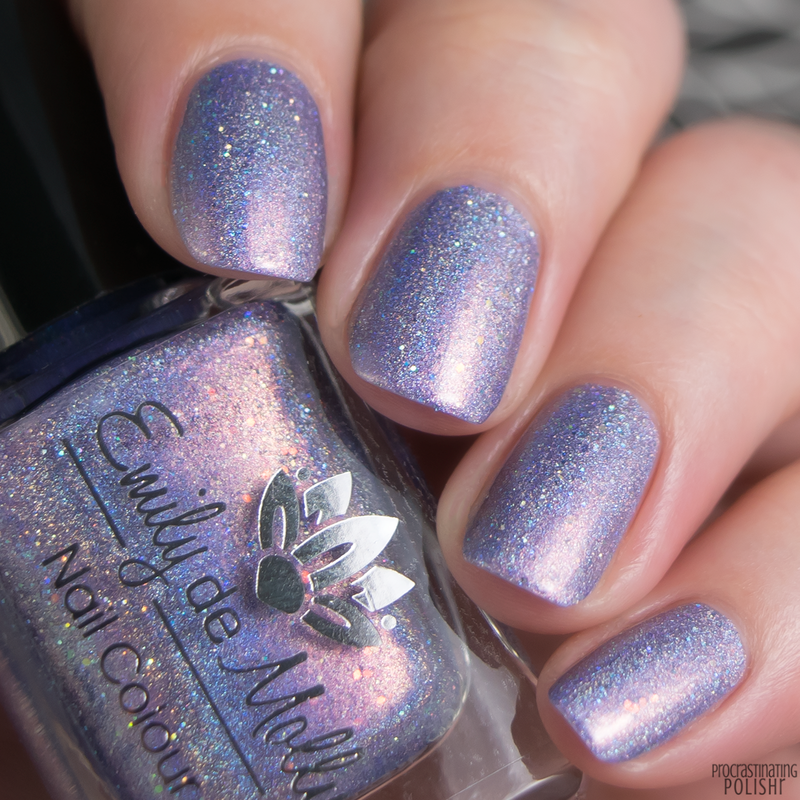 The glitter seems to shift with the polish itself and it's totally captivating. 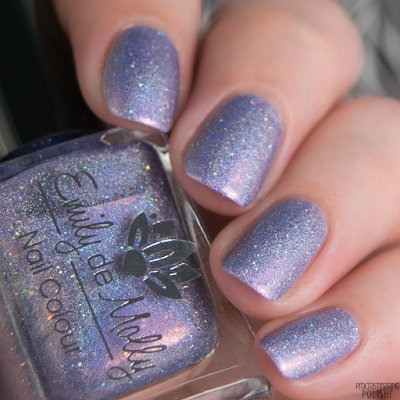 It's beautifully pigmented, two coats for perfect opacity. Application was easy and smooth though it dries down with the slightest texture from the glitter - some top coat will smooth it out without affecting the finish. Dark purple with multichrome shimmer that shifts through green, purple and red. 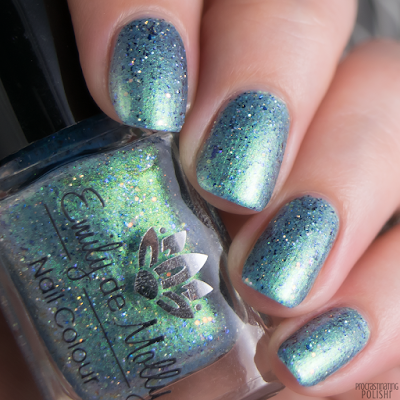 The green end of the shimmer is beautifully vivid, and the silver flakes reflect the shimmer giving a gorgeous finish. I didn't see much of the red end of the shimmer on the nail unfortunately. This is richly pigmented - almost a one coater, and easily perfect in two. My bottle had a bit of a dodgy brush and I didn't have any spares so I can't comment much as to the formula, but it still applied evenly with a dodgy brush so I'm going to go ahead and assume it's great. Bright pastel purple holo with a bold pink shimmer red to green shifting glitter and silver micro glitter. 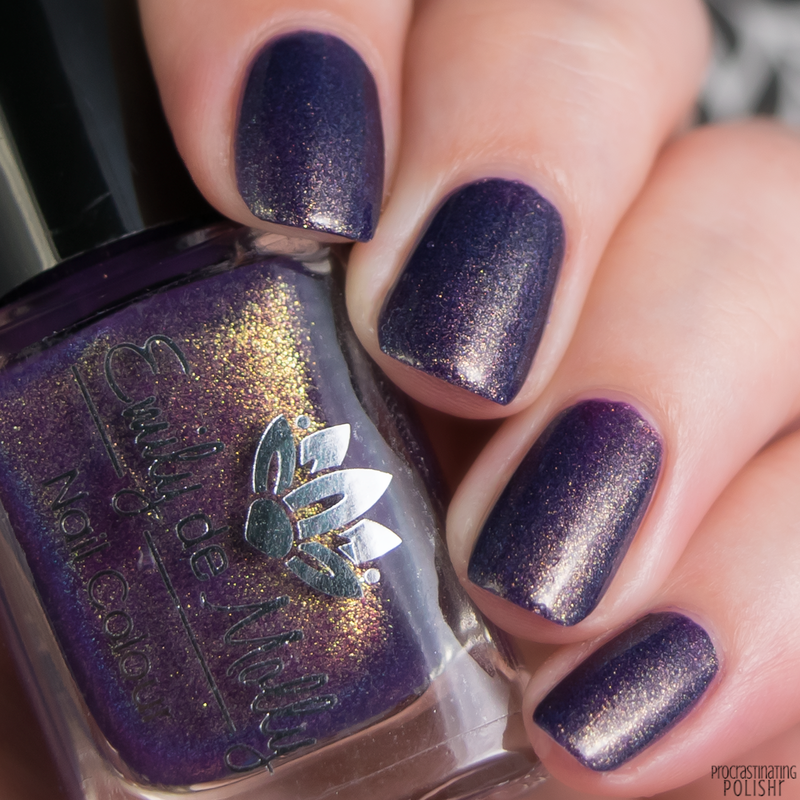 The shimmer and glitters really elevate this from a simple purple holo into something really unique. The pinkish red glow is utterly gorgeous in real life. Naturally it has a beautiful formula - smooth and effortless application. The micro glitter doesn't affect the finish or application at all. 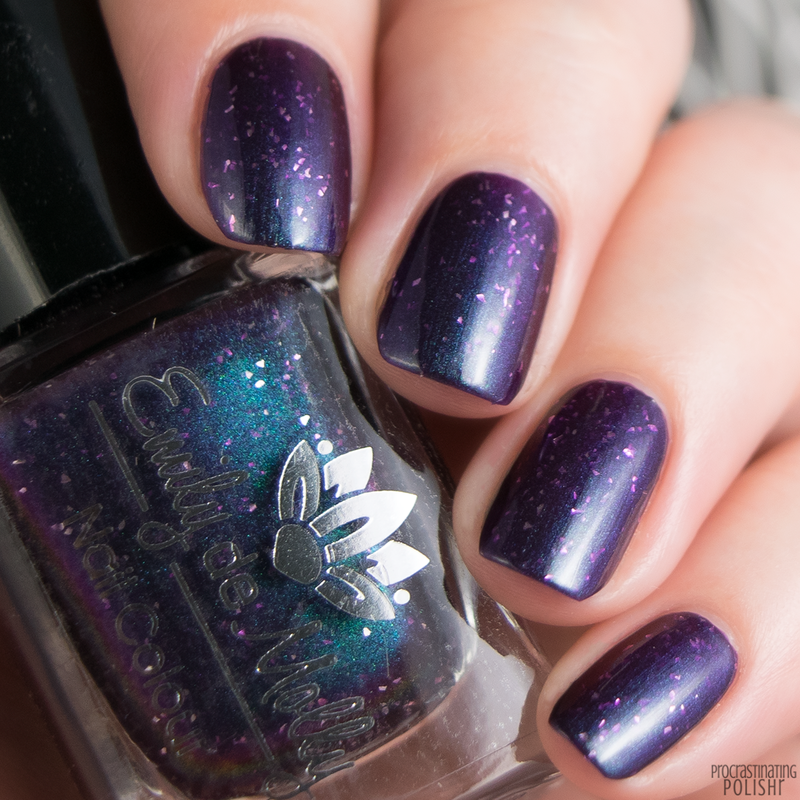 Opaque in two coats, so yeah, basically perfection! 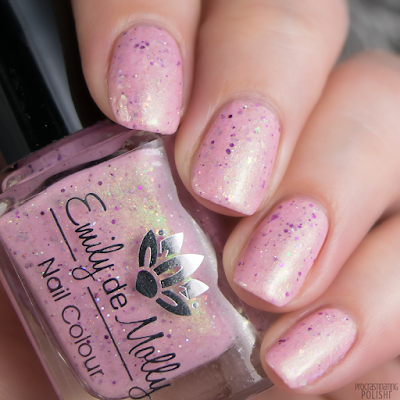 Baby pink with bright green to pink shimmer, iridescent flakes and silver and purple micro glitters. 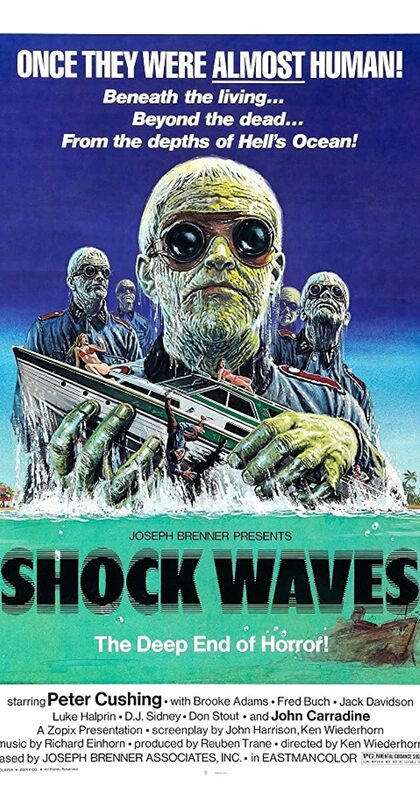 Feels like an updated version of a classic indie crelly. I don't know if I'm a big fan of the glitter and flakes in there - I'd love to see a plain pink creme with that green shimmer! The formula is a little thicker than I expected - it still applies nicely but may get a little patchy if you use too much pressure. I did three coats for my swatches. 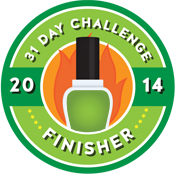 It dries with a little texture, but smooths out easily with top coat. 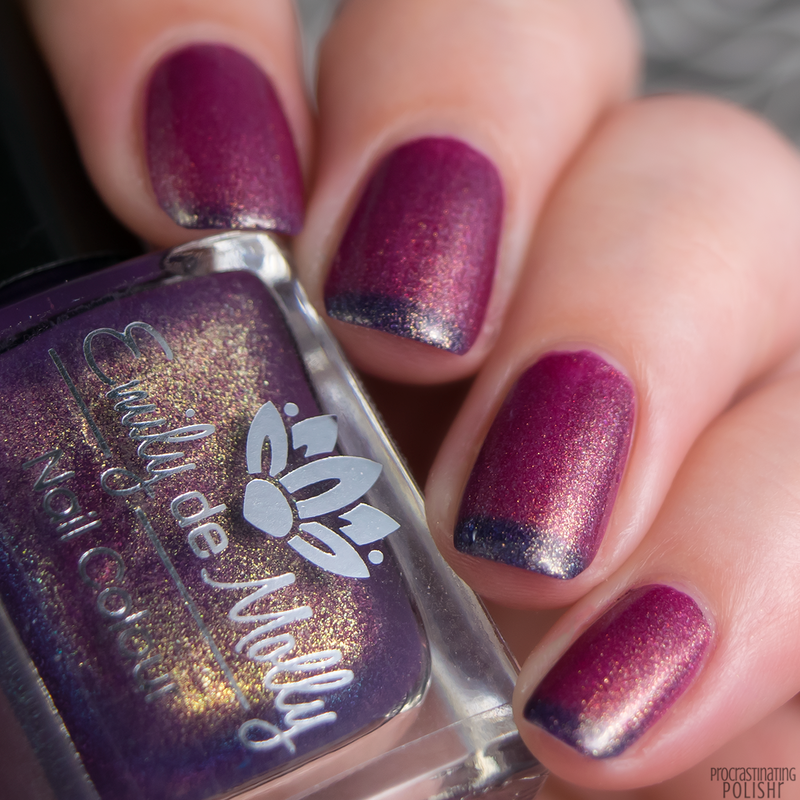 Berry to dark purple thermal with an intense golden shimmer. Berry when warm, and deep eggplant when cold, it's a true beauty. 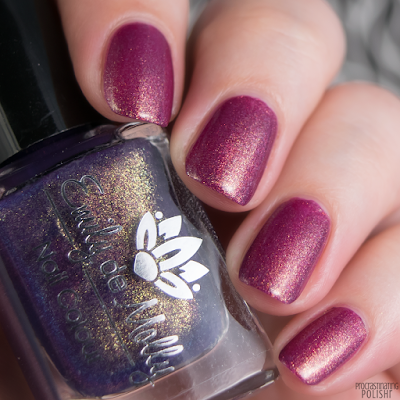 The shimmer really stands out when in the warm state - that's not to say it doesn't in the cold state - but it's got serious wow factor against the juicy berry red. It has a stunning formula, smooth and even and opaque in two coats. It transitioned very evenly and gave me great french tips a lot of the time, but I needed to get my hands super cold to get it fully in it's cold state - I'm naturally very warm so this wasn't a surprise. Light blue base with heavy green to pink shifting shimmer, iridescent and silver glitters and blue flakes. 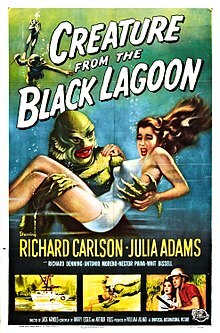 This is going to sound mega strangely specific, but I got immediate vibes of old school posters for underwater horror films like The Creature from the Black Lagoon and Shock Waves - I guess it's appropriate given Halloween is just around the corner!. It's a super unique finish, but maybe has a bit much going on for me. The formula was different - I felt like I needed more polish on the brush than I'm used to. It still applied beautifully though! 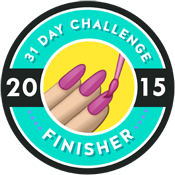 It was opaque in two coats, but I did a third for good measure. 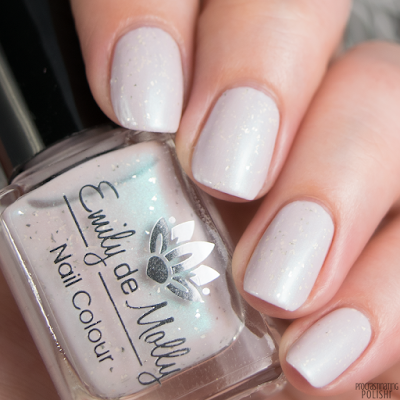 Super pale pink toned taupe with turquoise shimmer and silver flakes. Another stand out for me, it's ethereal and ghostly without being at all sheer. 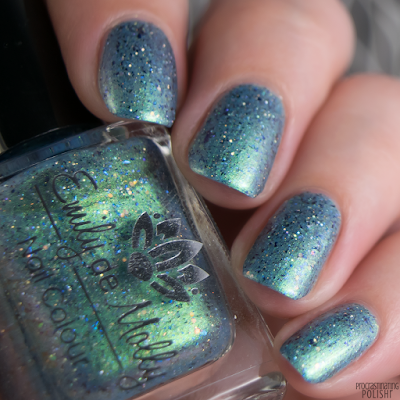 I'm very fond of neutrals, and the turquoise shimmer is so unexpected but so perfect. It has a lovely buttery formula, though it seemed a little patchy on the first coat it built up to perfect opacity in three coats. It has a great balance of flakes and they don't affect application at all. 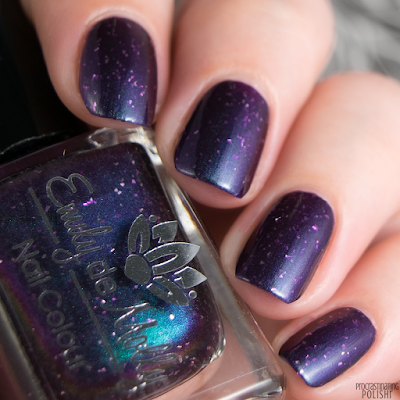 Overall a stunning polish. 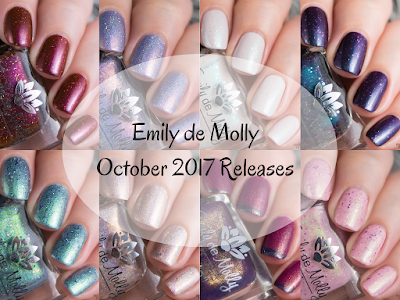 All eight are available right now from Emily de Molly, along with three Halloween shades and a few special limited edition shades. What are your faves for this month?